Visit our TSO eye care center for a Briargrove pediatric eye exam. Our Briargrove eye doctors offer eye exams for children in the Briargrove Shopping Center. Get your child’s eyes examined and treated for vision disorders by leading optometrists. Your family doctor or pediatrician likely will be the first medical professional to examine your child’s eyes. If eye problems are suspected during routine physical examinations, a referral might be made to an ophthalmologist or optometrist for further evaluation. Our Briargrove Eye doctors have specific equipment and training to help them detect and diagnose potential vision problems. When scheduling an eye exam, choose a time when your child is usually alert and happy. 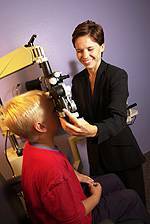 Specifics of how the Briargrove eye exams are conducted depend on your child’s age, but an eye exam generally will involve a case history, vision testing, determination of whether eyeglasses are needed, testing of eye alignment, an eye health examination and a consultation with you regarding the findings. After you’ve made the appointment, you may be sent a case history form by mail, or you may be given one when you check in at the doctor’s office. The case history form will ask about your child’s birth history (also called perinatal history), such as birth weight and whether or not the child was full-term. Your Briargrove eye doctor also may ask whether complications occurred during the pregnancy or delivery. The form will also inquire about your child’s medical history, including current medications and the past or present allergies. Be sure to tell your Briargrove eye doctor if your child has a history of prematurity, has delayed motor development, engages in frequent eye rubbing, blinks excessively, fails to maintain eye contact, cannot seem to maintain a gaze (fixation) while looking at objects, has poor eye tracking skills or has failed a pediatrician or pre-school vision screening. Your Briargrove eye doctor will also want to know about previous ocular diagnoses and treatments involving your children, such as possible surgeries and glasses or contact lens wear. 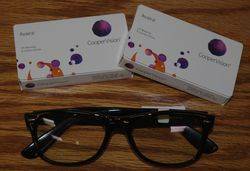 Be sure you inform your eye doctor if there is a family history of eye problems requiring vision correction, such as nearsightedness or farsightedness, misaligned eyes (strabismus) or amblyopia (“lazy eye“). Strabismus. This is a misalignment of the eyes, often caused by a congenital defect in the positioning or strength of muscles that are attached to the eye and which control eye positioning and movement. Left untreated, strabismus can cause amblyopia in the misaligned eye. Depending on its cause and severity, surgery may be required to treat strabismus. Learn more about our Briargrove Comprehensive Eye Exams.